Given that during my 6+ years of illness, I never met any person either with ME/CFS/Fibromyalgia, let alone one that had recovered from it, I never would have imagined that I could speak to so many people that recovered from this terrible illness. And yet, almost every week now I meet someone that recovered. Whilst many of these interviews may not get published for various reasons including that some don’t feel comfortable sharing their personal story publically, the lessons I learn from these are nonetheless profound, even after everything I have already learned and experienced myself. 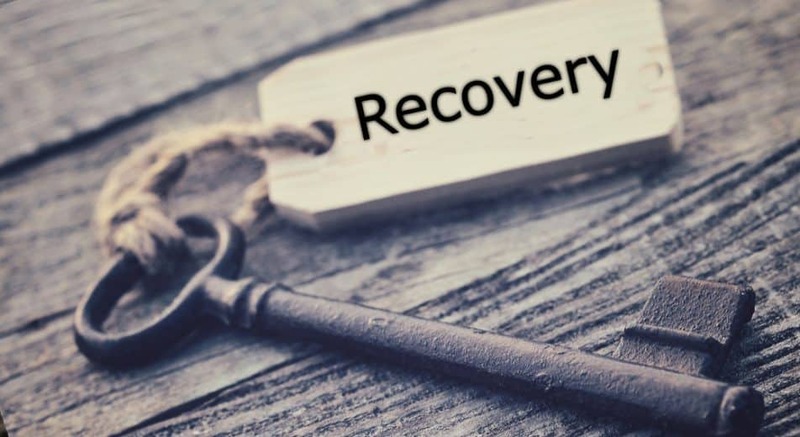 One thing that amazes me, is that many of these recovered people don’t really understand how and why they recovered, although they attribute their recoveries to many different strategies. 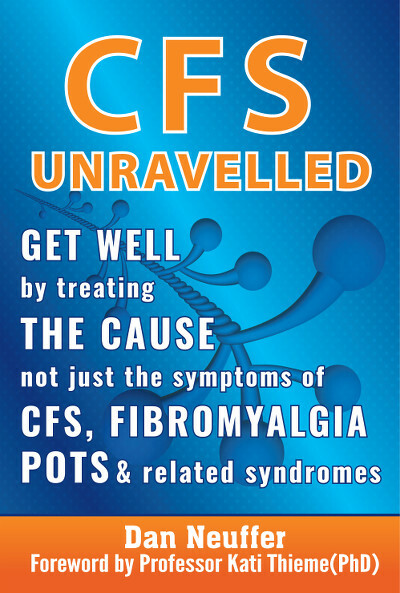 Whilst it is obvious what has happened in their journey in the context of the explanation I give in the video series and in the book CFS Unravelled, these people often only get an instinct for what is actually going on as they complete their recoveries. 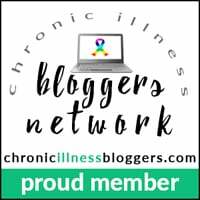 And so I wondered, how can some of these people recover from Fibromyalgia and/or ME/CFS, when they didn’t even know WHAT really causes the illness or HOW it really perpetuates? Yes, their journey and strategies and success makes sense, but how did THEY stumble into these recoveries given their lack of understanding of the pathogenesis of the illness? Well, the answer is a common theme that keeps coming through, clearly so powerful, that I felt compelled to share it in this blog, despite the risk of being misunderstood or confusing people who are not yet fully familiar with my explanation for the root cause of the illness (please request the videos if you have not already done so). First let me warn you that those looking for the quick fix cure will be disappointed. This is not a magic strategy, rather it is their attitude and their approach that is the key factor in so many successful recoveries. I am not sure if that is the best way to describe it, but basically what I keep seeing people do is EVERYTHING they can think of to recover, including a variety of diet and mind/body strategies. And they do this CONSISTENTLY. It is a single-mindedness and commitment to keep going and add to their strategies until they get the results they seek. Now before I say anything, let me just say that whilst I was sick, that last paragraph would have probably made me scream and start typing an angry comment!!! But those of you already on your path that have already learned how the illness works, will be much more open to this wisdom than I was. Either way, let me explain. Well, that’s where the explanation of the root dysfunction of Fibromyalgia/ME/CFS is so important, it suddenly puts all the strategies that people use to feel better into a context that makes sense, regardless of whether they are physical treatments or psychological or mind/body strategies – they all affect the root dysfunction. Whilst it may not make sense until you understand the root dysfunction and how the illness perpetuates, most would agree that it makes sense to simply look at the evidence of what actually works. If you look at the vast majority of recoveries on the net, whether on cfsunravelled.com, on YouTube, on health forums, or in books like Alex Barton’s 50 Recovery Stories, you will see the mind/body and diet connection repeated over and over again. However, I know that some people try many of these strategies and still get stuck. So why is that, what is the missing ingredient? Well, it’s usually a combination of not discovering and addressing particular personal triggers of their dysfunction and not applying their healing strategies consistently. That’s where this “ATTITUDE” is so helpful, even for people who don’t understand what is going on. So this “ATTITUDE” is about continuously adding ANYTHING you find that helps you feel better, regardless of how small the impact. I know you might feel you have done “everything you can” as well, I know I did and I still failed to make any real progress and just got sicker for years. But what I am talking about is doing EVERYTHING at the same time! If you have read CFS Unravelled, you will see that I referred to this concept when I spoke about the analogy of the houseboat with the different anchors, and how you needed to bring up ALL the anchors to make a shift. Now, not only does this reduce the pressure on the root dysfunction I describe in the videos, but it also often uncovers these missing or hidden triggers, because it is such an all-encompassing approach. Lynn articulated this well with her mantra, which I have since then adopted – “Make every choice your best choice!” From what you eat, to who you spend time with, to what you think, to the type of tea you drink and the treatments you have. ANYTHING you do in life, try to make a tiny improvement to move you towards good health. I keep saying that recovery is a journey, a shift in how we think of the world and our place in it. Well, I must admit that during the years I was sick, I would probably have been infuriated by Lynn’s comments. Here I was, seriously ill and unable to do anything to recover, and someone talks to me about making tiny improvement and what tea I choose – GIVE ME A BREAK!!! But with the understanding of how the root dysfunction creates all the dysfunctions and symptoms and HOW recovery happens (click here if you haven’t seen the videos yet), this strategy which on the surface has no real direction or relevance suddenly makes sense. It makes more than sense, it is probably the key even for those that are approaching their recovery with a detailed action plan still searching for that final 10% of the puzzle for their own recovery – still trying to identify the major conditioned response that has never identified and interrupted. Most importantly, it is the combination of all these tiny seemingly insignificant actions that contribute to relieve enough pressure on the root mechanism to tip the system back into homeostasis. Think about this for a moment, if other people can recover without even understanding what is wrong or how their symptoms are triggered and perpetuated, then what are your chances of success WITH THAT KNOWLEDGE if you follow in their footsteps and adopt their “MAKE EVERY CHOICE MY BEST CHOICE ATTITUDE”? I hope this reinspires not just your recovery actions, but also your commitment to listen to recovery interviews. When you listen to the interviews carefully, you will pick up on the subtle shifts people make and the connection to the root dysfunction and the strategies I describe in the book. Whilst clearly, we all have the same root dysfunction, even if triggered differently and with some different secondary dysfunctions, the lessons we can learn from each other are profound and powerful ways to accelerate our own recoveries. So review your action plan and make every choice your best choice! I Recovered about 75 percent but slipped back then re-read Dan,s book over and over . I realised stress was my major trigger along with poor diet so I worked slowly at changing my attitude towards both and as I did so I continued to improve . Yes !!!! change anything as long as it feels better and Believe in dan 100 percent . I am now around 90 percent recovered but have a knowing that I will be fully recovered in time . After 17 years of CFS I had a massive relapse with the same symptoms you described (neurological)….nobody knew what was going on….as it turns out it was a frightening expression of the illness after many month of emotional stess…..the Gupta Programme helped get me out of it once I realized what was wrong and also check out all new sites that was not around when I was looking for answers like this one. I am a lot better now but need more time and effort for further improvements. Louise, I’m sorry to hear you had a relapse. What a great thing that you realized what was happening, though, and were able to do something about it. I am also doing the Gupta Programme, and it has definitely helped. I have a ways to go yet, but taking it day by day. Take care , you will get to the other side of this in time. It has been a long journey, but worthwhile. I had to first address the emotional baggage but was so grateful for recovery, diagnosed with PTSD. Yes, it is all related and I have done it without much medications though my doctor follows my progress. It’s finally putting yourself first, getting to know YOU, making the best of choices for you. When your intuition is telling you a treatment is hurting and not helping, stop and follow another path. I am happier today because of CFS, making me stop and seek help. Thanks for your comment Patti. Have you made a full recovery yet? All it takes ..is everything! Thanks for your comment Ket. thank you, that helps a lot to understand better what happens! I think it is time to not avoid any more the stressors but learn to deal with them without bad relapses. I think I will use some techniques to calm down the nervous system WHILE dealing with the stressors, not afterwards because then it is too late, but at the time when the nervous system starts to overreact. Absolutely spot on. It’s a single-minded determination to beat the odds and come out on top. If I had listened to the “medical” advice I was being given, instead of to my body, I would still be down. It’s mind/body/spirit in its truest sense fuelled by pure, clean, nutritious food. No holds barred. Glad it resonated with you. Nothing like experience in life to give us conviction! Thank you so much! Your work gives my faith back. And strength. Also brings me out of my isolation as I see so many other people experienced similar. So, I might be on the right track.